First off I'd like to say a big THANK YOU!!! to those who entered my very first giveaway, I was really pleased with how it worked out and I plan to have many more giveaways in the future! AMANDA FROM BENTON, KY!! WOOHOO!! 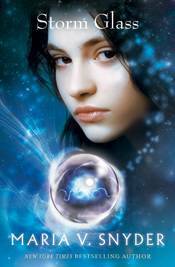 "One of my favourite YA characters is Evie from Paranormalcy/Supernaturally. She's just such a strong character, but keeps her girlie side. Who can't love a girl who has a pink gazer?" Amanda, your book is on it's way! I really don't have much more to say about this book except - WOW! 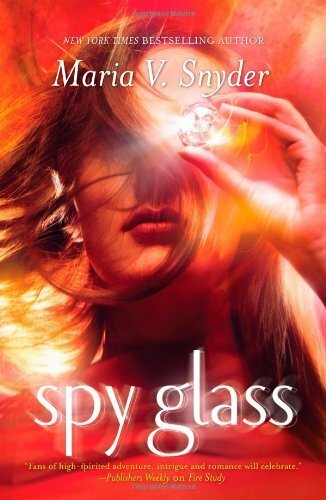 I cannot wait to get my hands on this one *grins* At least there's not much longer to wait! On Tuesday the 9th of August in overcast (but not raining!) 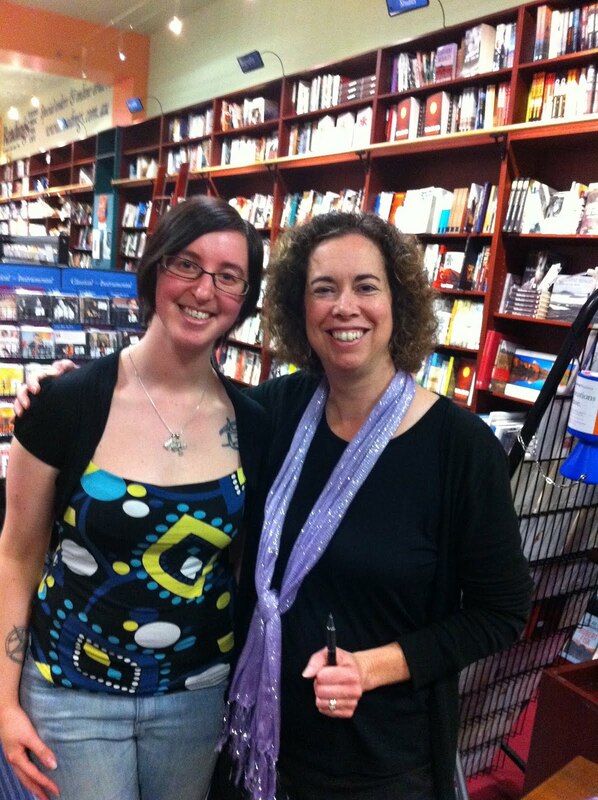 Melbourne - Hawthorn Readings bookshop played host to the wonderful author of 8 books (so far!) - Maria V. Snyder. It was a very relaxed atmosphere inside - everyone was chatting excitedly as we waited for Maria to make her entrance - comparing book covers, favourite characters and scenes as well as (naturally) talking about the other books we'd read and sharing recommendations. That's what I liked about having a relatively small group (about 30-40 people in all) - there was a great vibe in the room. Maria had an attentive audience as she spoke about her writing, inspirations and where her ideas came from. It was great to hear about how much her personal life was involved with her writing - and we were all quite amused when asked about her vision of Valek (featured in the 'Study' series) that her husband 'claims' the he was the model of that particular heartthrob character - with much rolling of the eyes from Maria and made us giggle quite a lot. As questions were opened up a lot of eager hands shot into the air. 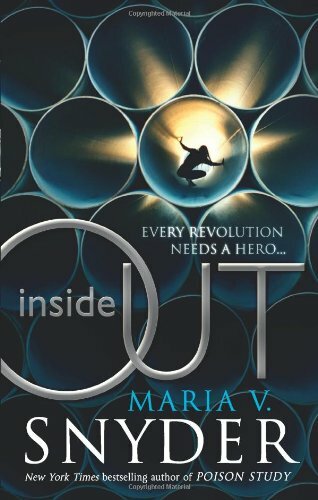 Questions ranging from Maria's idea for Inside Out/Outside In (a frantically written down dream) to how often she edits her books before publication (between 6-8 times). 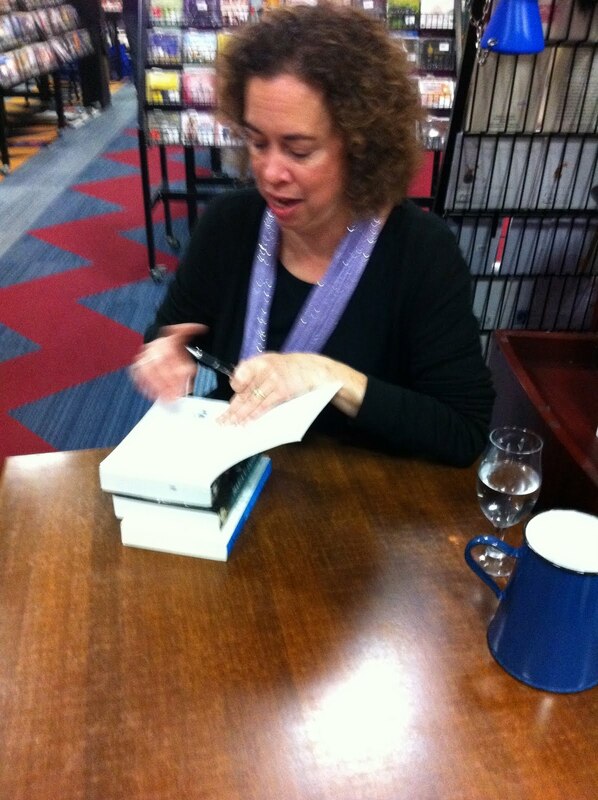 Too soon it was time to suspend with the questions and Maria set off to begin signing all of our books. A lot of people had brought her entire collection with them and Maria was really great and took the time with each of us, signing personal messages in each book, posing for photos and answering some last-minute questions. And now comes the competition time!! 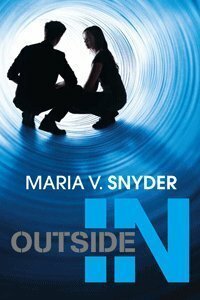 I am giving away a SIGNED copy of the Australian Edition of Inside Out - the first book in the Inside Out/Outside In duo! 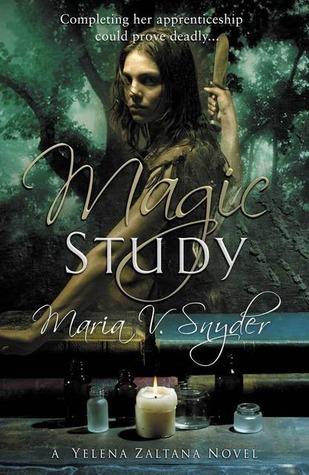 1) I've talked about four different Maria V. Snyder books in my blog before this post - tell me the very first book of hers I reviewed. 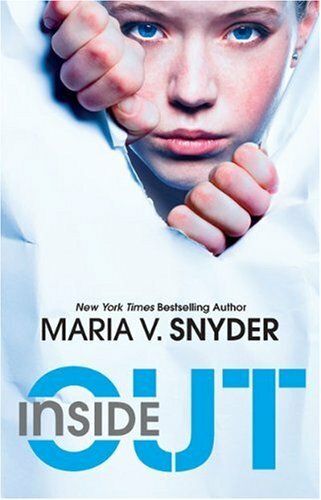 2) Tell me your favourite character from any Maria V. Snyder book and why. 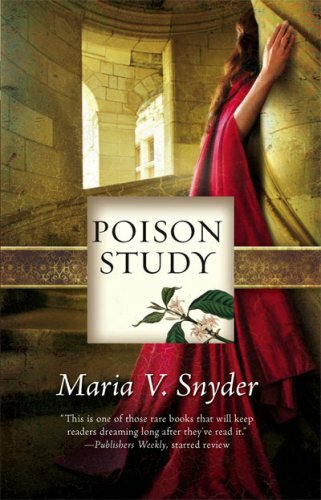 If you've not read any of her books before - then tell me about a character from another book and why. As long as you've covered those two points, I'll put all the entries into a hat and draw out the winner. Competition ends the 26th of August with the winner being announced shortly after! So get cracking!! So I thought I'd give a little overview of what I'll be getting up to, book-wise, over the next month! Tomorrow (Sunday) I'll be shooting off to Melbourne for the week, which I am rather excited about for a few reasons - Firstly I have a job interview on Monday (!!!) in a bookshop no less (!!!!!!) 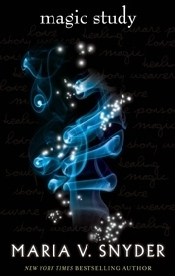 so fingers crossed it goes well cause I am going out of my mind not being in a bookshop at the moment! Secondly I'll be meeting the fabulous Maria V. Snyder! 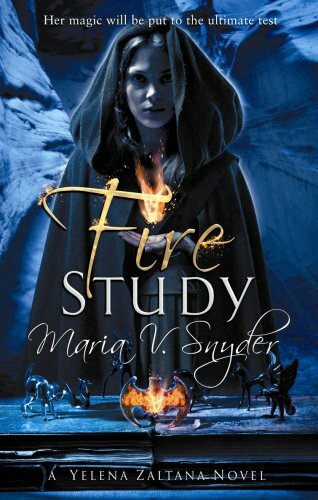 Which would also explain why I've been reading so many of her books lately ;) I'm almost done with Magic Study so I'll go on to Fire Study while I'm over there. I was thinking I could get her to sign one of my books and hold a little competition on here - open internationally - what would you guys think of that?? And at the end of the month there is the Melbourne Writers Festival which I am very VERY excited about, cause not only will it be my first one, but there are also some AMAZING authors attending including: Shaun Tan, Max Barry, Lili and Carole Wilkinson, Emily Rodda, Maggie Stiefvater and lots more. So I'll be there for the whole week and a half listening to and fan-girling all over these events (and no doubt getting lots of books signed for both myself and perhaps for a few more competitions down the line). So that's pretty much most of it - I hope you guys like that I'm updating on a bit more of a regular basis. 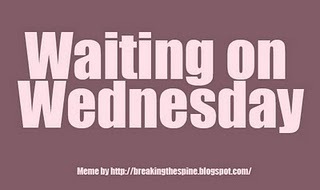 I'm hoping to get a few guest bloggers over which will bring a little bit of variety to my ranting qualities *laughs* I've also made wonderful book-blog friends with The Escapism Project so you should check them out, they're great fun! I'm currently reading my first ebook as well, which is also my first email-review-request, so I'm very much looking forward to sharing it with you all here. "There wouldn't have been a rebellion or the Force of Sheep without you. You started everything and you need to finish it." Pg 55. Me? A leader? Okay, I did prove that there's more to Inside that we knew. That a whole world exists beyond this cube we live in. And finding that led to a major rebellion - between worker scrubs like me and the snobby uppers who rule our world. Make that ruled. Because of me, we're free. I thought that meant I was off the hook, and could go off on my own again - while still touching base with Riley, of course. He's the one upper I think I can trust. But then we learned that there's outside and then there is Outside. And something from Outside wants in. Okay, so the big rebellion is over and everyone in Inside knows that they are in a ship flying through space. A BIG freaking ship. The uppers and scrubs are attempting to get along, Trella and Riley are happy and more levels are being built in the expanse. But how long does harmony last on a ship like this? Not very long at all. So I'm going to split this review up into two parts - The Good and The Not-As-Good. 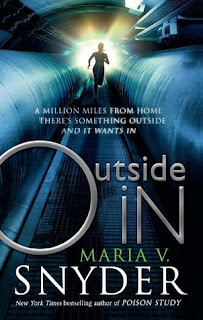 I'll do my very very best not to include spoilers, and if you've not read Inside Out yet... well this review has probably spoiled enough for you already! In true Maria style she starts things off with a bang. Literally. Things pick up right where Inside Out left us - Trella is complacent in the fact that she's fulfilled her part in the rebellion and now she just wants to return to her old life of being alone and exploring new places. But naturally things don't work out that way; we get to see Trella really struggling with this new threat and who she can trust. The suspense is tight throughout the entire story. I liked the new characters introduced in this episode - Bubba Boom plays a very interesting roll, you never really know whether he is really dangerous or not, and that kept me on the edge of my seat. I also loved how Trella's relationship with the scrubs changed - from being almost a spectre and talked about in excited whispers to being openly scorned and treated so distrustfully. It added a new dynamic to the already complex society structure. Generally if I do not like a book, I will put it down and go on to something else. And you might notice that I don't review those books on here either. Who needs that? I enjoy talking about books I love! So know that this bit isn't me not enjoying the book - just some niggling bits that I don't think should be ignored! The pacing was really strange. 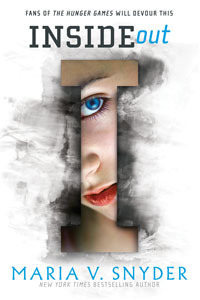 The first half of the novel is Trella's journey, you could say, in trying to deal with all the new issues in her life - knowledge of her family, having a boyfriend and being involved in the chaos of possible terrorist attacks. It's very intense and she doesn't know whom to trust and loyalties keep changing and changing back. It almost felt like the story had gone slightly juvenile - where Inside Out wasn't at all. So in the second half we are hit with the bombshell of these 'other beings' wanting to come inside. Suddenly the whole pace changes and it's so fast that one doesn't really have a chance to catch up. I wanted to know so much more about these beings and their story and I felt a bit cheated - so much of the book had been taken up by all that politics! Boo. Oh and Sheepy.... If I never hear about Sheepy again it'll be too soon.... Just saying. Overall I really enjoyed reading this. I do hate having such mixed feelings about a book, but I think it was still for the better. 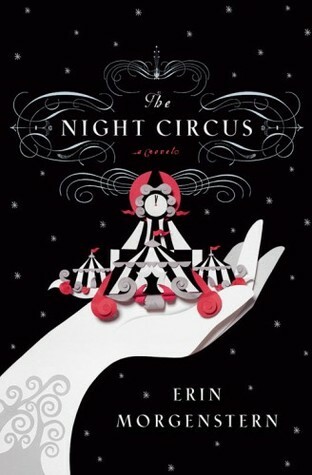 I like that it was just two books and the story was so enclosed and tight. Wow, this was a bit of a rant, hey?